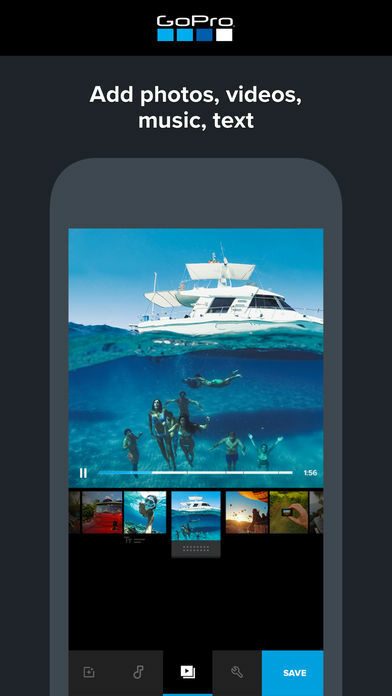 With the Quik app, you can create awesome videos with just a few taps. 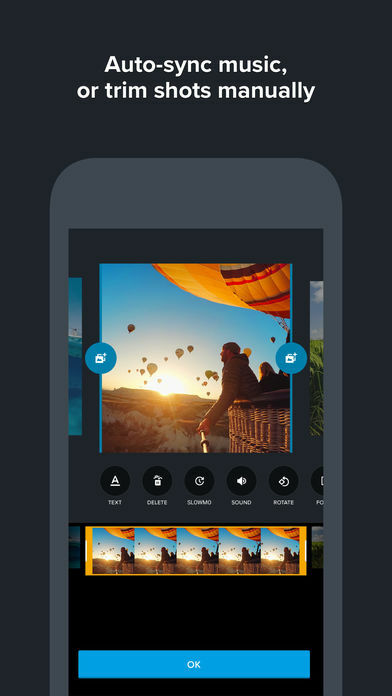 Choose your favorite photos and video clips then let Quik work its magic. In seconds, it finds great moments, adds beautiful transitions and effects, and syncs everything to the beat of the music. Customize your story with text, music and easily share it with friends. Editing has never been this fast—or this fun. + Add up to 200 photos and video clips from your Photo Library or GoPro Plus. Quik even works with Live Photos. 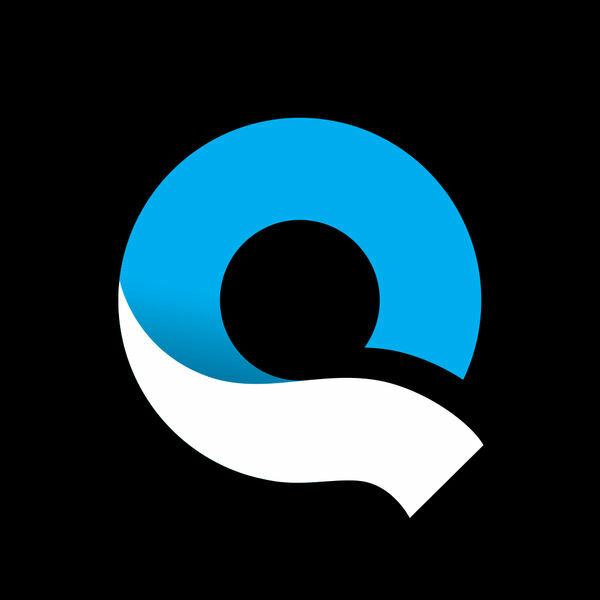 + Quik gets data from your GoPro footage (smile , faces , voices, cheering, speed, jumps, water, panoramic and steady footage ) and analyzes your videos to select great moments. It detects faces and colors to frame each photo perfectly. Adjust the layout or interest point manually. + Want to select your own moments? Use HiLights to tag the best footage. + Choose from 26 themes, each with transitions and graphics designed for any occasion. + Adjust the font, filters, filter intensity and graphics to fit your style. + Easily reorder, trim, zoom and rotate photos and video clips. + Let Quik do its magic with Smart Cuts or use full video clips. + Speed up footage or play it in Slo-Mo. + Add GPS Stickers to show how fast you were going. + Quik automatically turns on the audio when it detects voices. 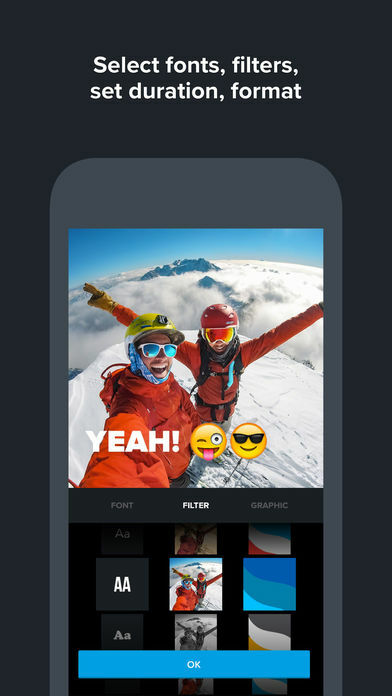 + Choose cinema, square or portrait formatting for easy sharing on Instagram or Snapchat. + Set a duration for photos and titles – Quik adjusts the cuts and transitions automatically. + Choose from more than 100 free songs, use a song from your iTunes library (subject to iTunes terms) or import music from iCloud Drive, Dropbox, Google Drive and, Box. Quik supports MP3, M4A, MP4, MOV, AAC, ALAC, AIFF and WAV. + Start your soundtrack at any point in the song. + Save videos in gorgeous HD 1080p or 720p—even in buttery-smooth 60 fps. + Share to Instagram, Facebook and more, or send a private Quik link via text or email. + Need more time to edit? Save projects as drafts and Quik will keep them for 7 days. 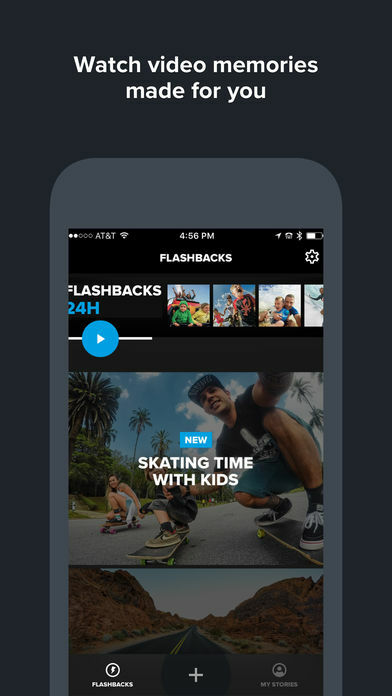 + Rediscover memories with Flashbacks—ready-to-watch videos of your past adventures. + With Flashbacks 24H, you can relive the day with fun videos created from your last 24 hours of footage. 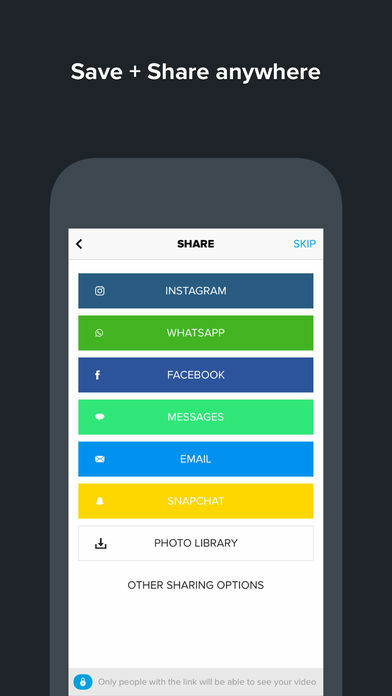 + Also supports photos + videos captured with your phone or other devices. Compatible with HERO5 Black/HERO6 Black/HERO7 Black. Compatible with HERO5 cameras and later. Requires the GoPro and Quik mobile apps. Have feedback? Email us at [email protected] or visit gopro.com/support.